A beautiful home you need to see! 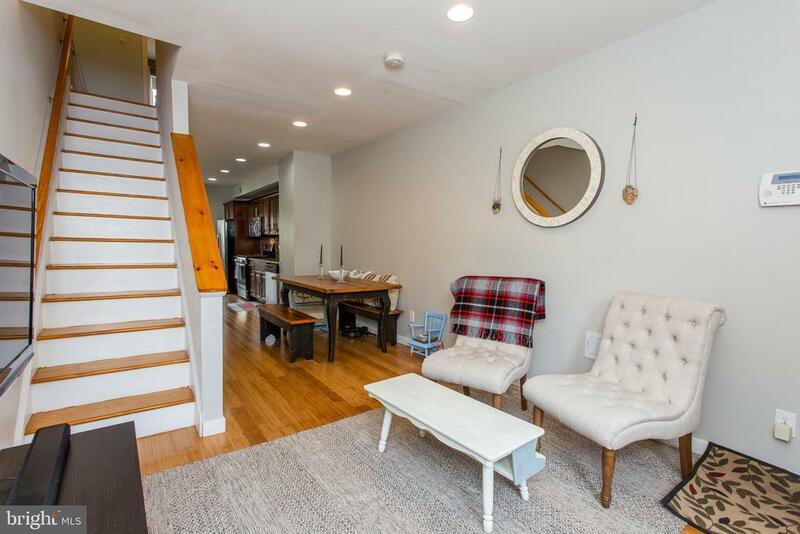 Completely rehabbed in 2014, this lovely property includes desirable details throughout, including hardwood flooring, high ceilings, recessed lighting and large windows for ample natural light. The open living and dining room floor plan lead naturally into the lovely modern kitchen, complete with granite counters, tiled backsplash and stainless steel appliances. The kitchen also includes a sliding glass door that leads to a private concrete patio- just the spot for BBQs on those sunny, warm afternoons! Upstairs, the second floor reveals two spacious bedrooms with ample closet space, conveniently located laundry and a lovely tiled hall bath with custom tiled tub & shower. Be sure to take a trip up to the third floor and feast your eyes on the massive master suite, complete with vaulted ceilings and a master bath with tiled flooring, dual vanity and beautifully tiled shower with custom alcove and glass enclosure. For those who still need a little extra storage space, the unfinished basement is ready and waiting to accommodate your storage needs! Found in the heart of East Kensington, this home is close to a variety of bars, eateries, parks, public transit and more! Dont wait, see this home today!